With summer fast approaching Bailey Devine have compiled a list of tips to get your home summer ready. At the minimum, change the filters; better yet, have a tune up. 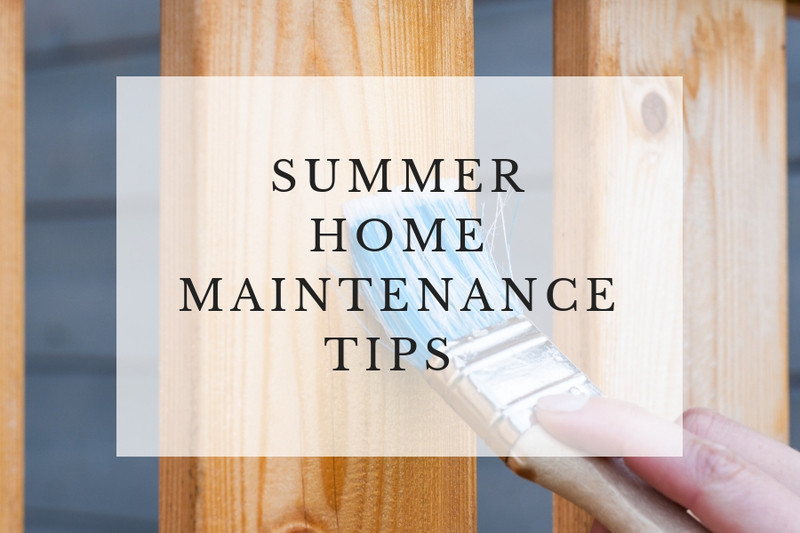 It’s much easier to take care of problems before the heat of summer is underway, and you might have to wait several days to get a repairman to your home. Make sure that the roof is still in good condition, with no leaks or missing tiles. While you’re at it, clean the gutters to avoid leaks and clogs. If any gutters are loose, reattach them to the house. It’s a good idea to pressure wash the outside of your home every spring. This allows you to see if there are any issues before they get out of hand. It also makes your home’s appearance fresh. Use a pressure washer and a mild detergent to clean. It’s not a bad job on a sunny day. Inspect your windows inside and out to make sure the seals are still intact, and that they are operating properly. Wash them on the outside, after the winter rains, they will most likely need it. Check for any cracks or breakage and get them replaced. Make sure your window screens are in good repair. In order to lengthen the lifespan of your outdoor BBQ, one of the first things you should address are the grates. It’s recommended that each year you soak and scrub the grates on a BBQ. If you neglect cleaning grates, they will deteriorate quickly. Clean the interior and exterior from debris and dirt, then check the burners, gas lines and bottle for any damage. If you have a swing set, or kids’ area of your backyard, make sure that everything is safe, clean and usable. Swing sets can sometimes become a little loose and wobbly over the winter. Make sure any sand areas are clean. Spread new mulch or sand if it has become compacted. If the metal swing set has become rusty, consider re-painting it. Check for sharp edges and wood that may cause splinters. Check for unwanted insects that may be poisonous hiding anywhere out the back where kids may play. Summertime is the season these spaces were designed for; make sure it’s safe! Check underneath you deck for missing or loose supports. Floor boards should be securely fastened. Pressure wash and re-varnish if necessary. Overhead coverings should be in good repair; if not, replace them. Deep clean your outside cooking space – grill, fire pit, etc. Remove any plants that didn’t survive the winter, check trees for soundness (you don’t want one falling on your house), mulch to keep weeds in check. Trim plants that might interfere with the A/C unit. Freshen up any flower beds by planting new flowers. Lots of animals like to build nests and cause damage to your home. Check around your home, garage and shed for ants, termites, hornets, mice and other rodents, and get rid of their nests in a safe manner before they cause damage to your property.